TMS CAD Autodesk BIM in Scotland: Are you prepared for an Autodesk audit? 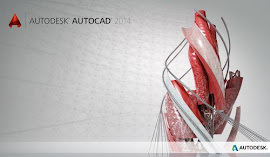 Get ready for Autodesk Audit ! Understanding installations, activations and registrations is the first defence against being audited and penalised for unlicensed software. Autodesk performs audits regularly. If your software has been over-installed, it is only a matter of time before your audit number comes up. Over installations are the primary reasons people fall out of compliance with Autodesk. In some cases, the users are fully aware they are not compliant. They either do not understand, or do not care that they have violated the license agreement. In many cases, the licenses are simply managed poorly. Higher seat counts take a little more diligence to keep track of. Throw in the need for previous release installations due to a project or third party program and it’s easy to become overwhelmed. Autodesk software is licensed “per concurrent user”. This is a little confusing because it can seem that it is tied to computers instead. Standalone activations, for instance, are tied to the hardware on which they are installed. For example, it is perfectly legal to install AutoCAD on a computer that will be used by one user on the day shift and another on the night shift. 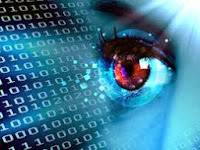 What is being measured, however, is how many users are using the software at the same time (concurrently). If we assume that only one user at a time can use AutoCAD on a given computer, it makes sense to track activations this way. It is also legal for a single user to make use of single seat on more than one computer, but that is a topic for another time. Follow some basic guidelines and you will either avoid being audited or face it with confidence that you are running all your Autodesk software legally. The guidelines vary somewhat in how they are applied to standalone versus network installations. Make Sure You Are Using the Correct Serial Number. Each time you purchase a new or upgraded license, a new serial number is generated for your product. Only install the number of licenses available on that serial number. To prevent confusion, it is advisable to merge all your existing serial numbers into one serial number. The fewer serial numbers you have to manage, the better. “Hand-me-down” computers can come back to haunt you during an audit. Uninstall old software from computers that are passed on, even if the new user is not using the Autodesk products. While this is in keeping with the spirit of the rule, the old software is still registered and considered working in the letter of the rule. Do not install more times than your serial number allows. Previous release use is allowed only for Subscription customers. Previous releases must be installed on the same computer as the current release, or the latest release that’s deployed (again, think concurrent users). If installing previous releases, you’re granted up to three releases back. Avoid the mistake of searching for an installation loophole. You cannot install the current release on one computer then install a previous release on another computer. This would enable non-concurrent usage and would be considered over-installing. Non subscription licensing agreement with respect to any Previous Version will terminate one hundred twenty (120) days after Installation of the upgrade. Within one hundred twenty day period, licensee must cease all use of any previous version and uninstall all copies of the Previous Version. Upon expiration of this period, previous version will no longer constitute Licensed Materials but rather will be deemed to be Excluded Materials. The same, basic rules apply to network installations as standalone with an important distinction. The licenses are all centrally located on a license server rather than on individual workstations. This means that it is impossible to over-install on the workstations, but it is possible to be over-licensed on the license server. Make sure your license file only contains the releases of software that you are using. If you have a standby or disaster recovery server, confirm that the licensing service is not running. Only the primary license server that is issuing the current licenses should be running the license service. If your backup server is running the license service with a copy of your license file, you have duplicated all your licenses. Like standalone licenses, previous release use is allowed only for Subscription customers. Your current release license file will issue licenses for the current release and three releases back. This gives you the flexibility to install different releases of the same software on different computers, unlike standalone licenses, because these will pull the same license as the current release. If, however, you require releases older than three previous releases listed in your license file, make sure they do not cause you to exceed your license count because they are licensed separately than the most recent four releases. Follow the same guideline, in this case, as that standalone licenses. Namely, install these really old releases on the same workstations as the more recent releases to mitigate the possibility of pulling too many licenses at once. The total number of your combined, concurrently useable seats of all releases cannot exceed the total number of your current license seat count. Be proactive when managing your licenses. Your chances of getting audited will drop tremendously. In the event that you do get audited, you will be able to show your installations without worry. Audits are time consuming, stressful and a source of anxiety. Watch your installations and take the necessary precautions to avoid over-installing.